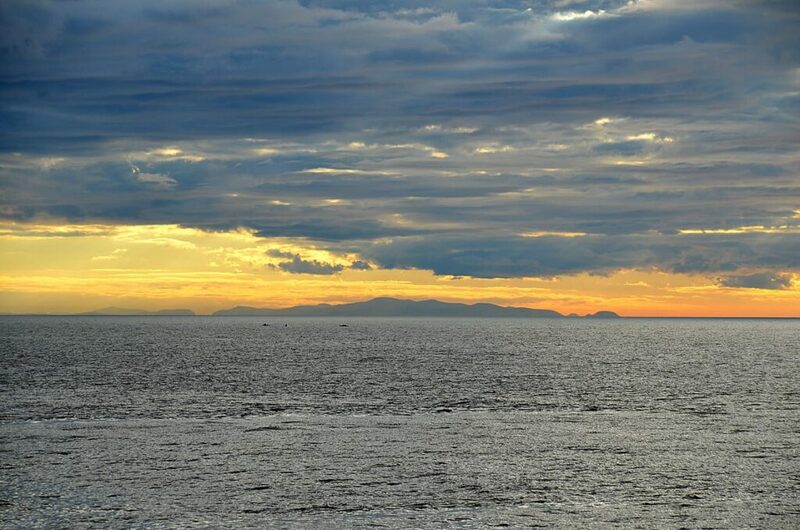 From Cleveleys seafront, look along the Fylde Coast to the left (or south as it’s known!). Is it a clear day? Have you got a view of Wales? 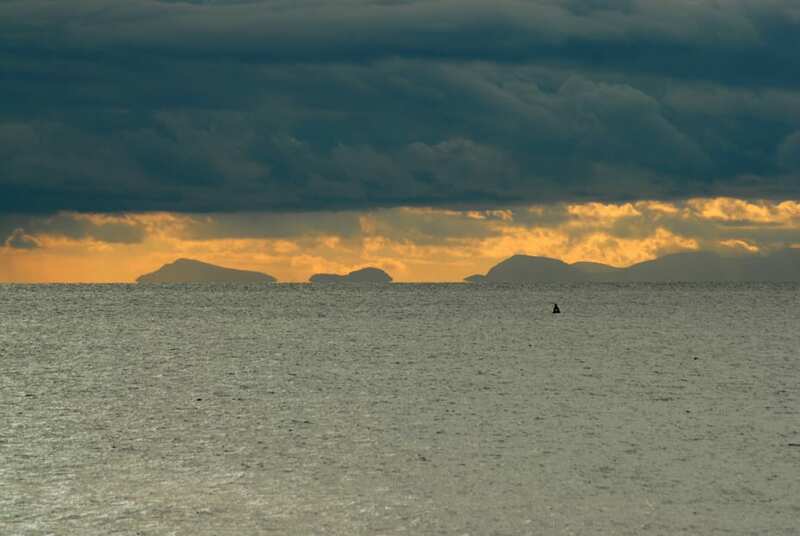 Exactly what you can see depends on where you are relative to the curve of the coast. You can clearly see the Norbreck Hotel, Blackpool North Pier and The Blackpool Tower. 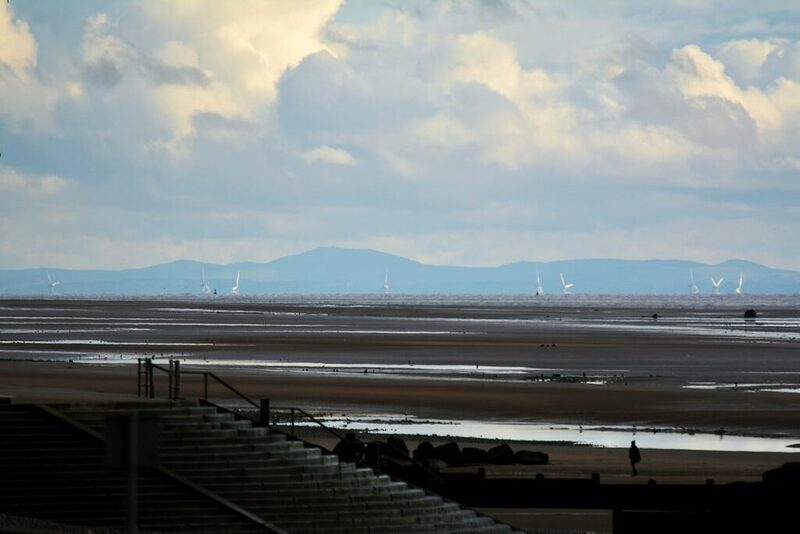 On clear days you even get a view of Wales, it’s to the right of the familiar Fylde Coast landmarks across the sea. North Wales and Anglesey is often visible. The view becomes clearer as you travel south on the coast road towards Blackpool. We’ve marked the map below for you to show the angle of view. The clearest view is usually of the western edge of the Isle of Anglesey, seen at the left of the map. 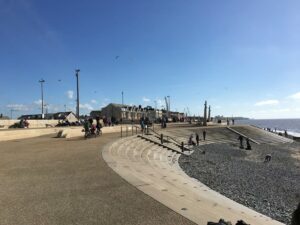 On a really clear day you can sometimes see the landmass of North Wales – where Llandudno, Colwyn Bay Rhyl and Prestatyn curve around the shoreline to meet Birkenhead. The big green area on the map is Snowdonia. The hills of this National Park are often visible, because they are so high. The points that you can most often see are usually the hills of the National Park of Snowdonia. Standing at 3560 feet above sea level, Mount Snowdon is nearly 7 times higher than The Blackpool Tower. The Blackpool Tower is 518ft tall, so imagine how high 6.87 of them would be – stacked one above the other! It’s the hills of Snowdonia National Park that you can see in the next photo. This was taken from Cleveleys beach on 1 October 2017. The big bump at the left is the hills of the northern end of Snowdonia. The smaller bump at the very right of the photo is Anglesey. 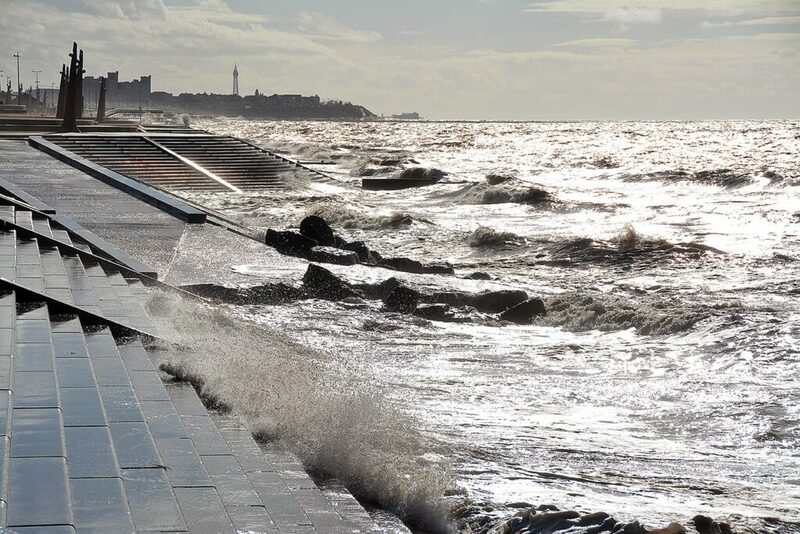 The next photo was taken from Rossall Beach, see the steps adjacent to the cafe on Cleveleys seafront clearly visible in the foreground. The hills of Wales and their windfarm are clear in this shot. The wind farm in the photo is Gwynt y Môr. Opened in June 2015 it cost over £2 billion to construct. It’s 160 turbines are built by RWE Innogy UK in Liverpool Bay, off the North Wales coast. 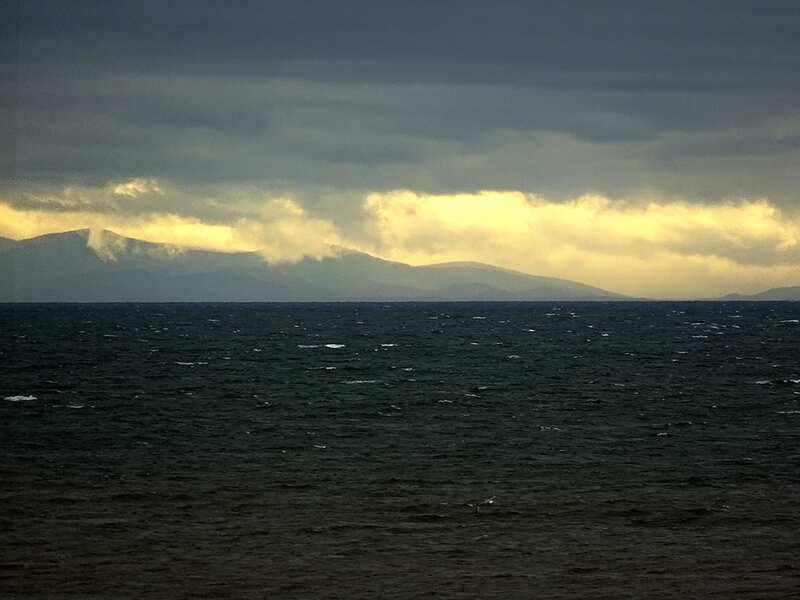 You’ll often see ferries and ships sailing across the sea. You can follow their movements on a website called ShipAIS which plots their movement. 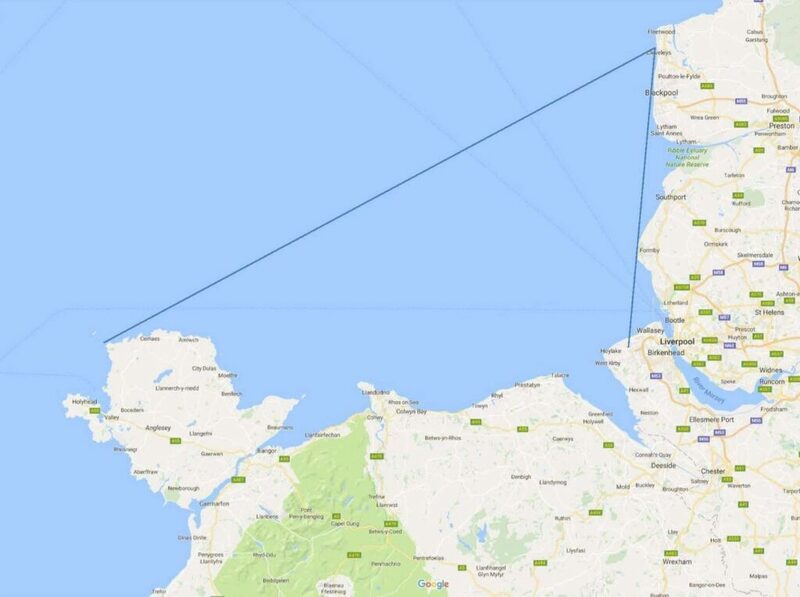 Unfortunately, on Christmas Eve 2010 the last ferry bound for Larne in Ireland sailed out of Fleetwood. 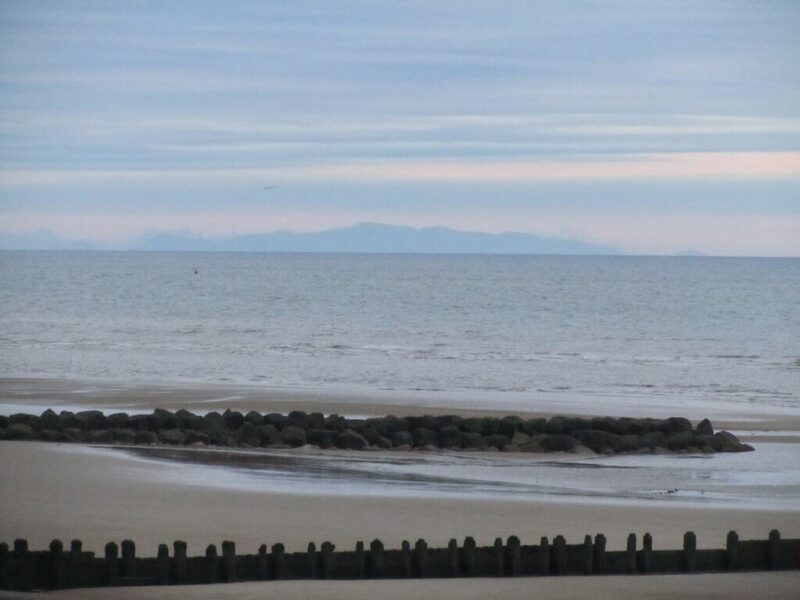 Hazy view of Wales, what you’ll usually see from Cleveleys beach!  Have a look at the Visit Cleveleys website homepage for more of the latest updates. 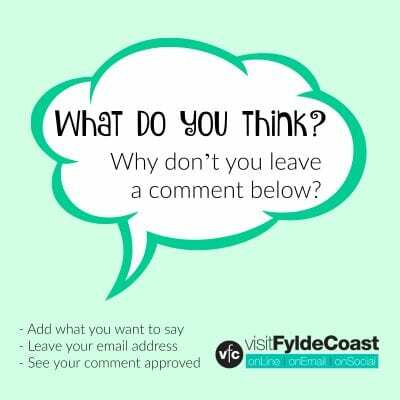 Love the Fylde Coast? 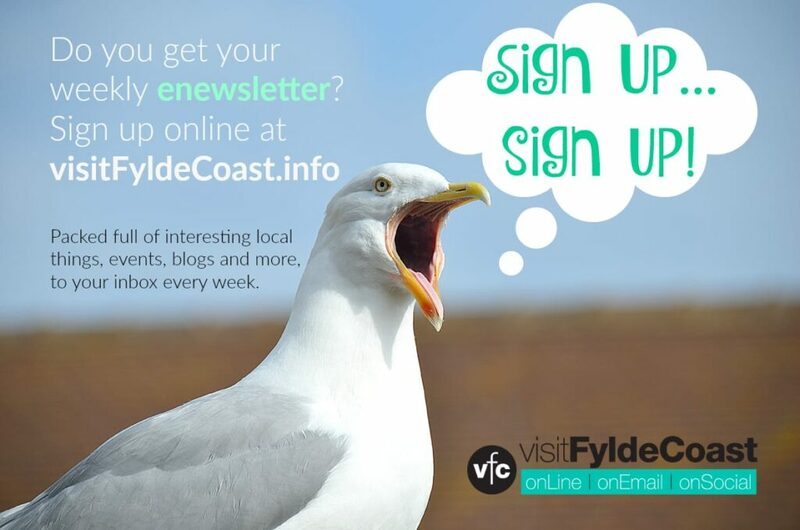 Sign up for our weekly email newsletter. Packed full of interesting things, it arrives in your inbox all 52 weeks of the year.